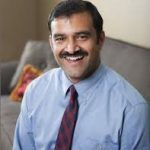 Dr. Peter MacField earned his Medical degree in Bangladesh at Chittagong Medical College before moving to Grand Rapids in 2001 to do his residency in General Surgery and Family Practice. He currently works at Breton Village Pediatrics and Family Medicine as Primary Care Provider and works as a Medical Consultant for Mary Free Bed. He believes in providing both traditional and alternative medicine to his patients. He specializes in Alternative/Complementary medicine, Hormone Replacement Therapy, Osteoporosis management, Chronic Pain management, Functional Medicine and Geriatric Medicine.